NovaHEAT™ Sealers are constant on heat sealers. Also known as Direct Contact Heat Sealers, Hot Die Sealers, Heated Platen Sealers, Hot Bar Sealers, etc. Whichever name you call it, NovaHEAT™ Sealers are used to heat seal reinforcements, patching, bags, wire conduits, special designed forms and shapes. Applications commonly found for medical/pharmaceutical products, shade/awning reinforcement and hem end sealing, food/beverage, recreational products, custom packaging as well as practically every industry where thermoplastic materials need to be sealed or welded. 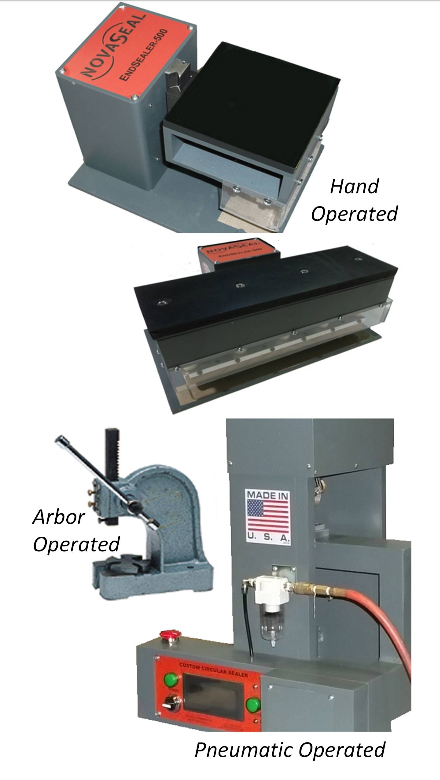 Hand, Arbor or Pneumatically activated sealing die or platen. Hot Interchangeability. 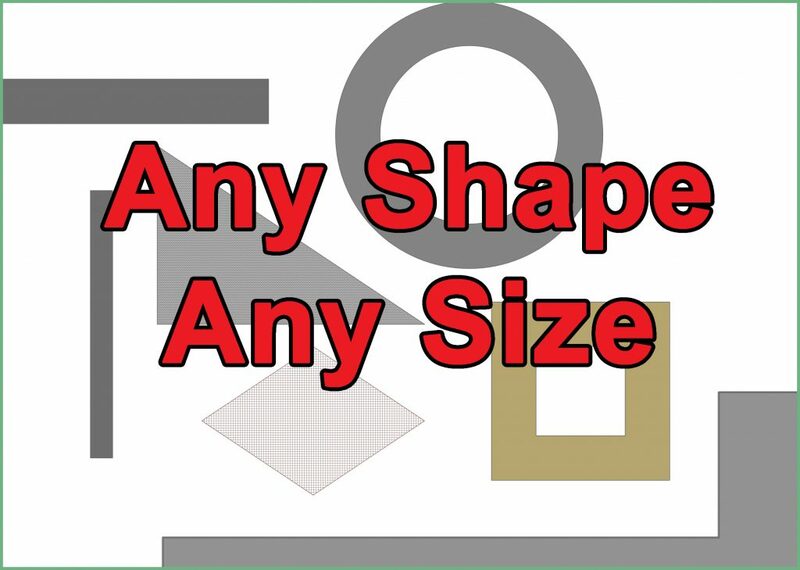 No need to first cool the hot die when changing for another shape. Sealing head or die interchangeable. Lots of different shaped dies. Customized to your requirements. Patches, End Sealing, Reinforcement, etc. PLC or Temperature Controlled with K-type thermocouple.